The 'Electric For Life' radio show of Garuda label boss Gareth Emery is one of the consistent factors in all that's considered Electronic Music. Continually gifting its tens of thousands of listeners with ravaging records and incredible cuts, 'Electric For Life' has been the weekly highlight of many since its inception in November 2014. It has been luring in more and more listeners every week and the year of 2015 has seen it become one of the most beloved radio shows. 'Electric For Life' is the icing on the cake that is the marvelous music it holds every week. 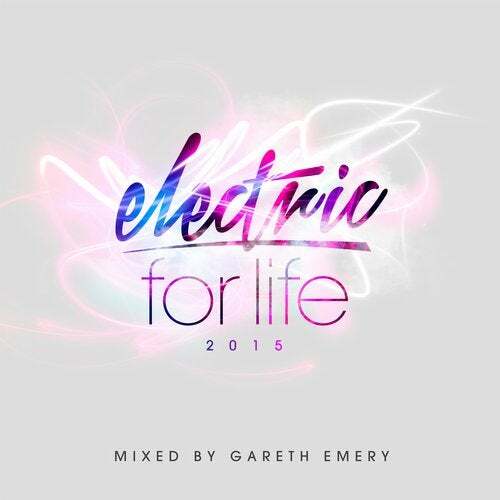 This triple-disc compilation is the supreme embodiment of what 'Electric For Life' has brought you throughout the year of 2015, emerging as a spot-on rendition of what the past twelve months held and what the future might bring. Harboring a solid selection of 2015's stand-out tunes, Gareth takes the three prime elements of his show and incorporates it into this compilation. Providing you with the best in Deep House, Progressive House, and Trance from a wide range of first-rate artists, including Grum, Lane8, Third Party, Armin van Buuren, Hardwell and Gareth Emery himself, 'Electric For Life' marks the perfect ending of one of the best years for Electronic Music. If you are eager to discover what 2015 encapsulated and what next year will bring, this is where your search starts and ends.